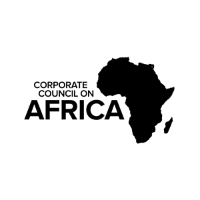 The Corporate Council on Africa (CCA), is the leading U.S. business association focused solely on connecting business interests in Africa. Established in 1993 to promote business and investment between the United States and the nations of Africa, CCA serves as a neutral, trusted intermediary connecting its member firms with the essential government and business leaders they need to do business and succeed in Africa. CCA uniquely represents a broad cross section of member companies from small and medium size businesses to multinationals as well as U.S. and African firms. Our members are invested in Africa's most promising sectors including agribusiness, energy, finance, health, ICT, infrastructure, security, tourism and trade facilitation. Established early in 1964 on the initiative of a number of prominent, mainly British based companies with business interest in East Africa. Over the years their regional activities have expanded from Kenya, Uganda and Tanzania to include Ethiopia, Rwanda, Burundi, the Seychelles, Eritrea and South Sudan.